Register Log In Moparts Forums Moparts General Iron Resurrection working on mopars? 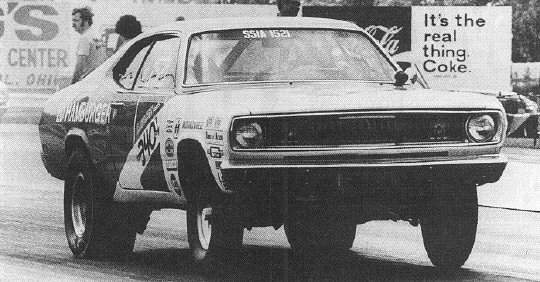 While watching iron resurrection,i noticed the bought a 67-68 formula s barracuda and saw a 69 dodge charger on a lift with the 01 on the door of course.And while looking at cars they also showed a 66-67 dodge charger are they gonna start working on mopars?I can only hope. They will put LS Chevy engines in them,like they do to everything else. Other than that, they are very talented, and their cars look great. Enjoyable show,thier talented in their metal work and painting.Lets hope they know not to put a LS motor in any mopar!lol! I like that show. Some of the cars I would do differently, but they appear to be nice quality when done. Wish I could find a painter that gets stuff done on time like that guy does. I like short bed hot rod pickups and that show does a lot of them. Maybe they could do a dodge truck,maybe a fargo truck!They get stuff done their cars/trucks look great!Only thing im not big on is the air bags,i understand why the use em ..just not my thing otherwise great stuff! Last edited by rdrnr6970; 09/13/18 04:35 PM. That was a '68 . Maybe just bought for flip. Can't see them doing an over the top restoration/mod on an A body. Their cars are six figure projects. I watch it thinking they will build something cool, but don't like the builds. I think the 2 link rear they use with the air ride is funky. Is that a commonly used setup? The g to they did with big rims, kind of pro touring but even bigger rims, it had ladder bars and coil overs. WHY??? I enjoy that show a lot. No drama, lots of craftsmanship. Probably the best gags on any of the car shows; reminds me of a few of the guys I worked with over 40-some years. Sometimes ya just gotta have a laugh, and it's good for the camaraderie. Much less drama than the other shows. I like some of their builds, some not so much, and they seem to be stuck on the full-frame/big-wheel stuff, but they seem more crafty than Fantomworks. The episode with the '63 409 Impala, where Shag mis-identified 66-67 buckets as 63, left me thinking he needs to bone up on his automotive knowledge. Hate to break it to you, but him and his brother love Mopars. Back in 2004 when they had their shop in Fort Worth. I stopped to look at the 2 hemi cars they had. One was a gold 68 GTX and the other was a burnt orange 70 RR. They also had several other Mopars sitting around the lot and shop area. 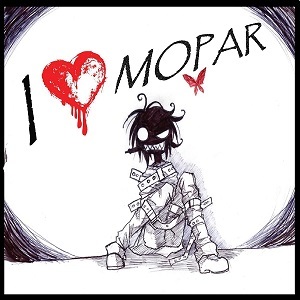 Yes, they do both like Mopars. I'll bet it is more of the show producers that push for them to build cars that more people would know or recognize. Fantomworks? I find it hard to believe those guys are really a legit company. Some of the stuff I have seen them do would make me run the other way. In the end, when they have revealed some of what they have charged for their 'restorations' would really make me run away. The guys on this show on the other hand appear to be talented no doubt. On Iron, the outside area near the side of the main building has several interesting project cars including a 1970 orange (EV2?) RR. Shorty is the man when it comes to quality metal work and paint. They did a VW Karmen Ghia last year and the metal work looked first rate given the rot in the rear window and the rest of the chassis. Last edited by VS29H0B; 09/14/18 05:39 PM. You mean like WANTING the brakes to lock up? yeah that iron resurrection owner has got some skills. In both cars and choppers. I think I heard him say once that he doesn't really take time off because he loves spending all his time working on this stuff. I quit watching Fantomworks, a lot of it was interesting but the drama queen owner got old quick.